Is Scotland the ideal proving ground for autonomous vehicles? Autonomous vehicles are much talked about, but how big a reality are they? That was very much on the agenda at the Connected Autonomous Vehicle Scotland 2018 event held in Edinburgh recently. 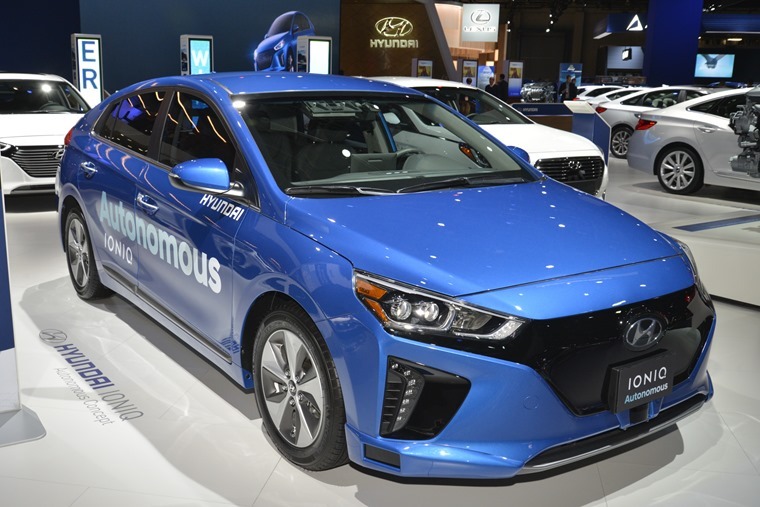 Not only did it provide a forum for experts and decision-makers in this field, it offered a chance to understand how this sector of the automotive industry intends to develop and progress. While this event was held in Scotland, and there’s a devolved government there, this conference has an importance for the whole of the UK as well as the rest of the world. Part of the event’s aim was to help woo investors in these new technologies to invest in Scotland and base their research there. Scotland already enjoys a buoyant tech sector, thanks to its universities and industries such as electronics and oil which have brought many to the country. This makes it an attractive proposition for autonomous technologies as there are already people based there who work in these areas. It should be noted that regulation and policy surrounding CAVs are not devolved to the Scottish government and remain the remit of Westminster. However, that has not stopped the administration in Scotland looking to advance its case. Michael Matheson MSP, who is the Scottish government’s Cabinet Secretary for Transport, Infrastructure and Connectivity, said: “The deployment of connected and autonomous vehicles in Scotland will bring transformative change to the way we travel and work, as well as having a positive impact on the economy, the environment and safety. All of this fits with the Scottish government’s ambitious aim to phase out the sale of petrol- and diesel-powered cars by 2032 and introduce an electric highway on the A9 between Perth and Inverness. This route is to show electric vehicles are not the preserve of urban dwellers and can be a practical option for those living and working in rural areas. You certainly cannot accuse the Scottish government of not aiming high enough. However, there is a lot to be done before such a future is achievable, which is why there was also much talk at the event regarding this part of the UK’s suitability for testing connected and autonomous vehicles. We can take from this that Scotland is set to become a large scale proving ground for such technology. Mr Matheson made this clear when he said: “Scotland can offer a uniquely diverse test bed for CAV. The trunk road network provides a huge range of road environments, from the 10-lane urban motorway of the M8 through and around Glasgow and Scotland’s first SMART connected corridor on the iconic M90 Queensferry Crossing, to a wide range of roads in more remote rural areas. There is, however, a long way to go on this road to autonomy before we’ll see such widespread testing on public roads in Scotland. For starters, the connectivity in many rural areas is patchy at best and non-existent in some. For connected cars to work, they need to be able to communicate and many locals will tell you that a mobile phone is useless in many parts of the country never mind a CAV. Before any trials can get underway in a meaningfully large scale, there is also the issue of mixing autonomous vehicles with normal human-guided cars. This is a complex and involved topic that was the focus of some debate at CAV Scotland 2018 and is an issue that occupies much of the discussion in this arena. Also the subject of much talk at this conference was the morality of CAVs. While this is a philosophical debate in many ways, the bottom line is decisions made by humans programming these vehicles will have a very real impact on the lives of those inside and around them in the event of a collision. Until that is decided either through talking or trials, CAVs cannot become part of the normal traffic mix on our roads. Another much-discussed issue at the Scottish event was the subject of liability and insurance. You can tell this was an important core debate by the list of speakers that included several lawyers. Again, until this part of the development of CAVs is settled, they cannot progress to real-world roads and use. Those are some of the major hurdles the connected and autonomous vehicle sector has to overcome worldwide. The upside is a country like Scotland throwing itself into the technology with gusto. Regardless of whether you’re in favour of fully autonomous vehicles or not, the fact is this technology is increasingly part of the cars we drive. So many of the safety systems we now take for granted rely on ignoring driver inputs and using objective data from other sources. That has to be tested and put through its paces in live situations, so why not choose a region that has a broad range of road types and traffic densities to speed up that process. It could also help turn Scotland into an automotive silicone valley that would have benefits globally. Perhaps the most important outcome of CAV Scotland 2018 is it has started the debate in this part of the world and drawn attention to the potential of Scotland as a place to develop connected and autonomous vehicles. That now needs to be backed up with greater investment and action from politicians in Scotland and Westminster.